Dan Udrea left his home in Romania five years ago and came to Malta, searching for a job that could give him and his family a prosperous future. 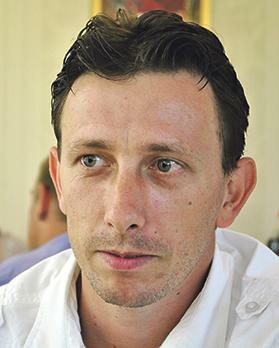 Dan Udrea had lived in Malta for five years. 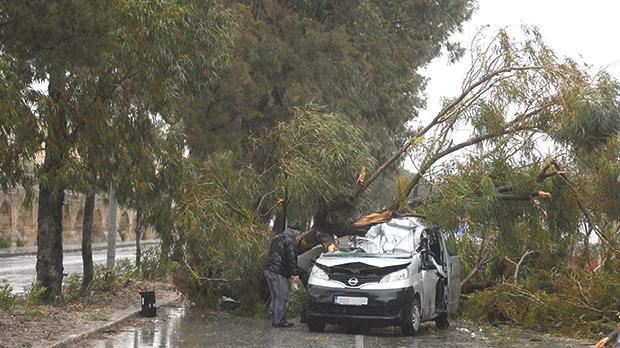 By a terrible stroke of bad luck, his life was cut short on Saturday when strong winds uprooted a tree that fell onto his car as he was driving along Triq Notabile in Mrieħel at around 6.30am. The 38-year-old father of two worked for a local courier company and was described as being “tops in logistics”. His wife Irina, 32, was in the car and was taken to hospital critically injured, the police said. Her condition was unknown last night. On the way to work, the couple dropped their two young children off at their grandmother’s – Dan’s mother’s – who is in Malta to help look after the kids when the couple go to work. The heavy tree collapsed on the driver’s side just as the vehicle, a Nissan NV200, was going past – a second earlier or later and the victim might still be alive. Mr Udrea was certified dead on site. Civil Protection Department members extracted Ms Udrea from the wrecked vehicle. Duty magistrate Donatella Frendo Dimech ordered an inquiry and appointed a number of experts to assist her. The police are investigating. The fatal accident came as Malta was hit by severe weather. More trees were uprooted in other localities, while several cars were damaged when walls collapsed due to the strong winds.